Insights for parents… click on image to see full proposal. Fix for NZQA Stats. School Filters, Share, Get and Remove Data. Improvements to the Wizard -> Dean table. 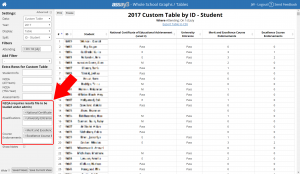 Extra columns in the custom table for Literacy and Numeracy Credits Available, as well as Level 1, 2 and 3 Credits Available and Current + Available. Student Details and Results: you can now search by Year Level or Group, in addition to ID Number, Tutor Class and Subject Class. Note: you must put in the full ID Number, Year Level, Group or Class Code for the search to work. 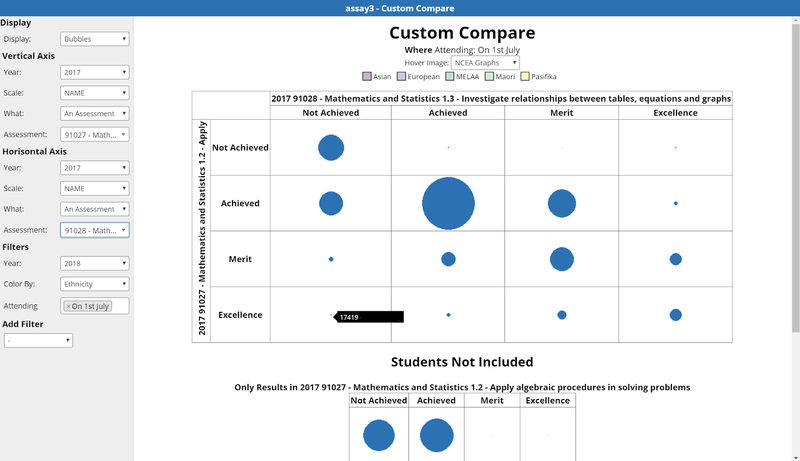 Improvement to custom compare to be able to show as a bubble graph, student names show as you hover over. 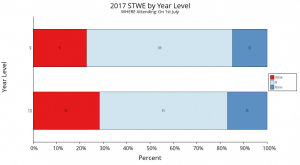 New column in the NCEA Summary under student view that has the total credits gained at that level, including ones from higher levels and the 20 carried over from the level below. 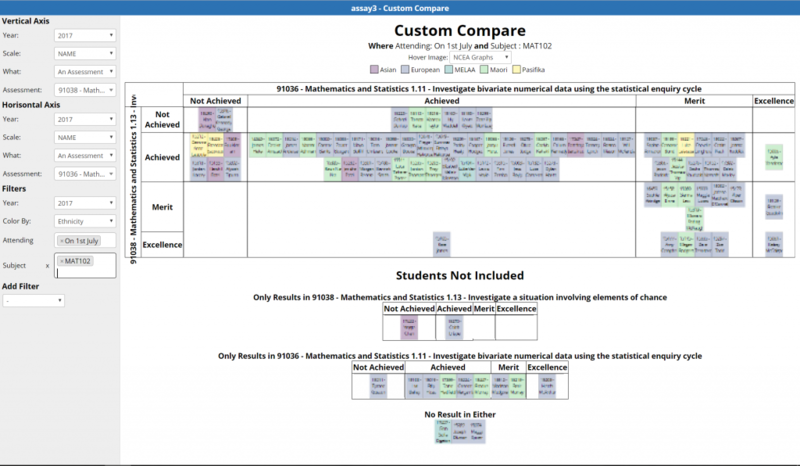 Full school assessment schedule available now in the “Extra Tools” area… see Extra Scripts for details on how to import this data in. Bug fix for colours not showing for some splits for students grid view. Ability to be able to duplicate coversheets in the moderation area, so schools offering the same standard in more than one context can do this more easily. “Copy Emails” button on the email students / caregivers area. Assessment Schedules can now be set up to show on the parent portal and on the student details page… see Parent Portal Pages for more info. Bug fix for graphs in NZQA stats when there is no split not always displaying properly. Improvements to loading of images in the ‘Student Graphs’ areas so they only load when scrolled into view. Fix for insights not always displaying tutors / groups from the correct year. Fix for NZQA Results File not being processed correctly. Fix for PE, Religious Studies and Level 3 Visual Arts Endorsements not being calculated correctly. Improvements to Credit Quartiles under Extra Tools to allow viewing by subject. New saved views button in the wizard. New Admin option: clear graphs. New option in wizard – split by assessment. New Custom Tool -> Subscribe to Calendars. 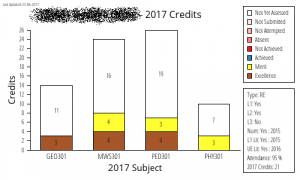 New Custom Tool -> Course Check… check how many credits students got in appropriate courses last year to easily see if they qualify for the course this year. KAMAR Schools can now display individual student graphs on their parent portal… if you want information on how to set this up please contact us… note: only works with Version 4 of the portal. HUGE Improvements to NZQA Stats area… you really do need to check these out. Choose default selections of data in the “Data Summary” area. Integration of Standard Analysis into this area. Central repository for NZQA Data. 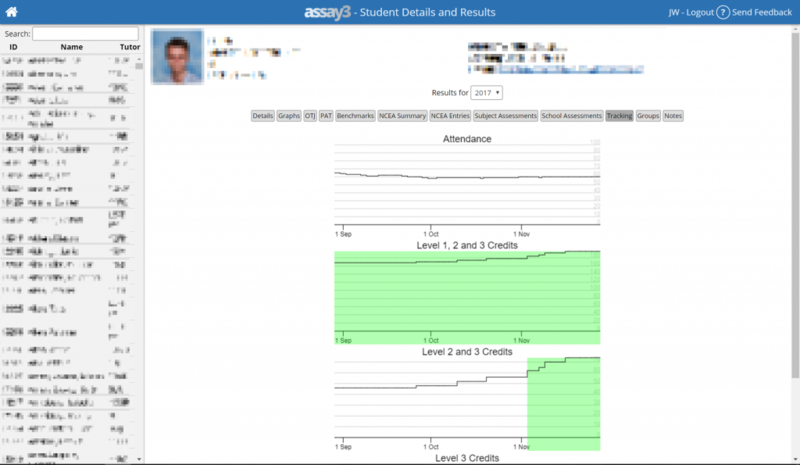 Longitudinal Tracking of student credits and attendance in student details and results. Tweak to the excellence color to make it more visible for people who are colourblind. New option in wizard -> dean to view individual graphs. 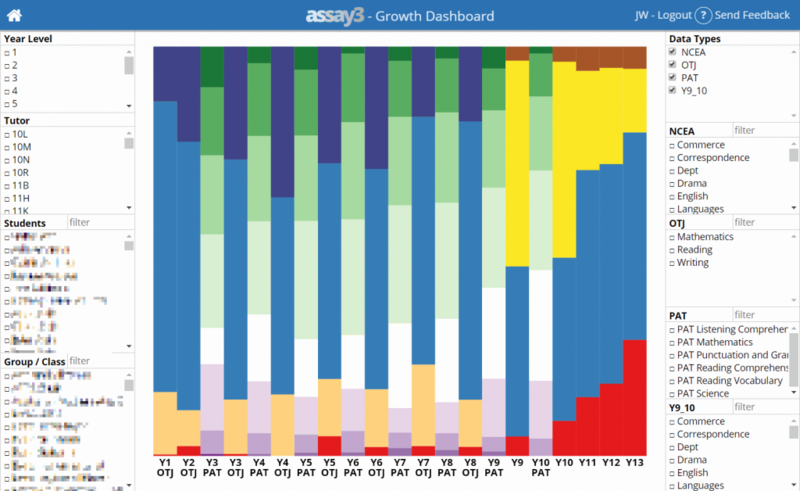 Filter by month of assessment… this allows you to do same time comparisons from year to year. Under the Whole School Tables and Graphs and advanced mode there is a tick box that enables variable height graphs which means you can view the strip graphs and divergent bar graphs when you have LOTS of groups without them being tiny. Changes to how percentiles are calculated on growth dashboard when there is a tie between two or more students, it now gives the middle value rather than the minimum. 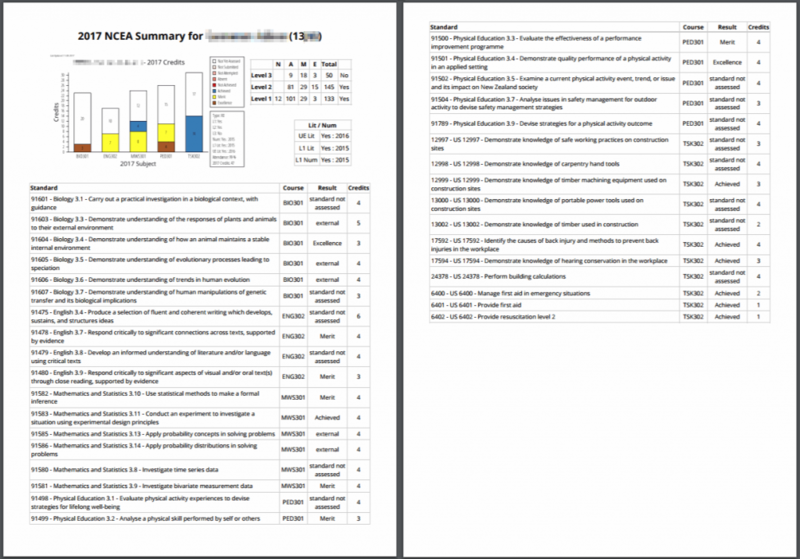 Download H&S Data as CSV for external reporting. 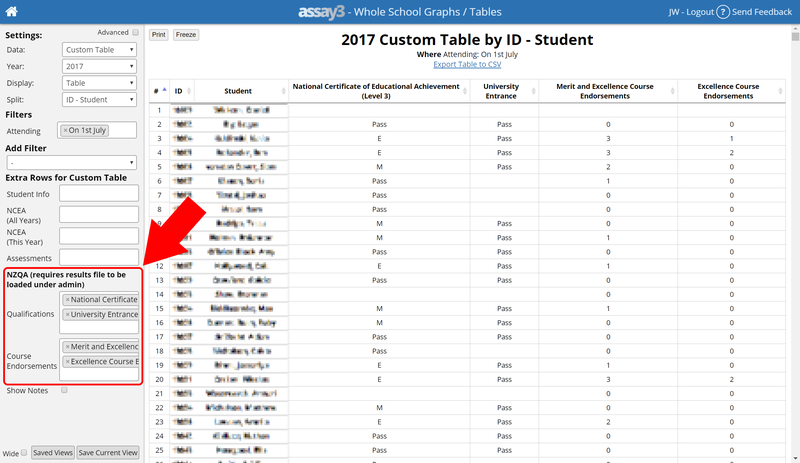 Subject credit distribution now includes all students with entries, rather than only students with results. A number of options in the data and filters drop downs are only visible when the advanced tickbox is checked… this makes it easier for people to find their most used options, while still leaving all the options there for those that want them. ‘Rank Scores’ (not based of UE, but just the best 80 credits) at Level 1, 2 and 3 are now available under the custom table… 4 points for an E, 3 for a M, 2 for an A. 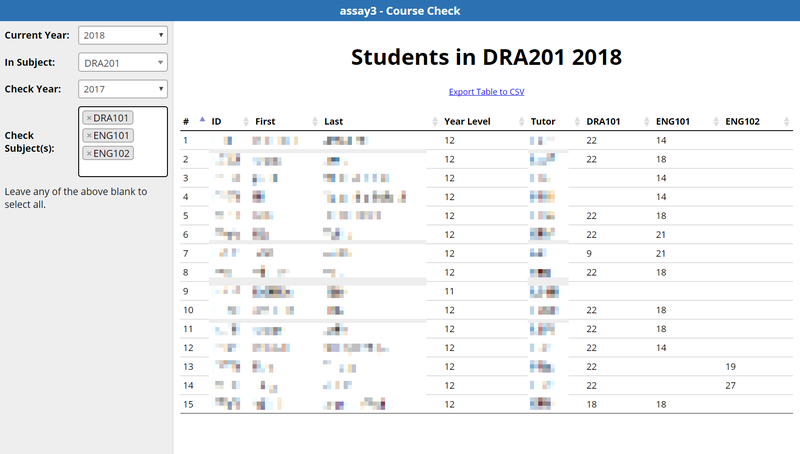 New view under “All Classes Student Graphs” called “Printable NCEA Summary” which is designed to be printed for students, it automatically puts a page break after each student when printing. If you want me to remote in and give you a hand setting them up let me know. When switching between students the view will remain the same. 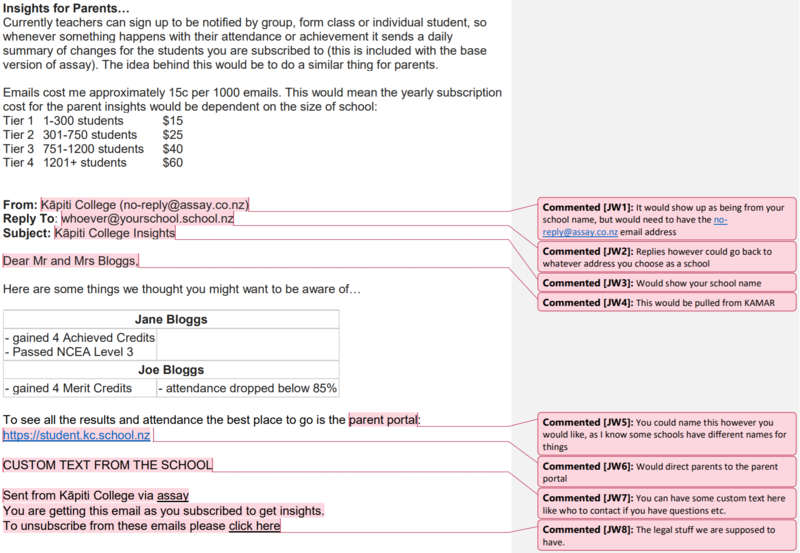 Addition of “Split By” when using the wizard mode as a teacher for a birds eye view of their classes. In Wizard Mode the “Individual Student Graphs” now gives you the option to choose which graphs you want to look at. New columns available in the custom table view of number of internal and external credits sat, as well as the percentage of each passed, passed with Merit and Excellence, and Passed with Excellence. OTJs (Year 1-8) can now be analysed like all the other data… contact me to turn this on if your school does things with OTJs. Additional module for PAT Benchmarking – see PAT Data and Benchmarkings for more info. A small additional charge applies for this. 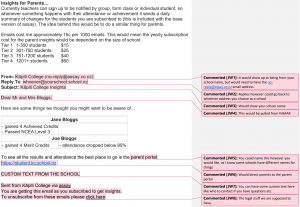 Ability to remove students from the email list. New option on moderation coversheet for Yes / No fields of “No – PN Checked” which doesn’t highlight red on the overview page. Full automation of exports from KAMAR and uploads now available… see the “Auto Upload Scripts” in the installation section of the help manual for more info and how to set up. Once set up you no longer need to do regular exports from KAMAR to upload into Assay, as it is all done automatically. 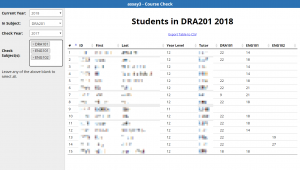 The only times you’ll need to upload data is to load historical data eg: in Jan to load the final NCEA results from the previous years or when initially setting up. 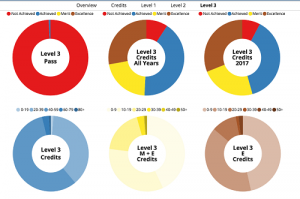 New Split for credits – by month – and also as individual graphs so you can easily see how students are doing over the year. Under Admin there is now the ability to remove old users that are either causing conflicts with current users or who you no longer want to have access to the system. Attempted to avoid page breaks in the middle of graphs when printing. Changes prior to 14/2/2017 (version 20170214) are not shown here.